Since running our blog post, Understanding the Rules for Companion Animals, we continue to receive questions, including some from tenants who are confused over the rules. “I am a renter and I am curious. If a married couple both qualify for a companion animal and each have doctor recommendations for one, are they required to “share” the animal? Or is it acceptable to have their own individual companions? These questions highlight the ongoing struggle landlords and tenants face in navigating this dynamic new area of the law. Although housing authorities treat companion animals like service animals, landlords tend to see the situations very differently. Because service animals are highly trained to assist, they are perceived as unlikely to cause disruption. The need for a companion animal can be harder to understand. The animal does not need to have any training, and may even be seen as a liability to others, for instance, when a tenant asked for a companion monkey or another for a pit bull. These featured questions raise still other concerns, like whether a landlord must accommodate multiple companion animals in the same unit, and if an existing pet can be “reclassified” as a companion animal. The companion animal regulations rely heavily on case-by-case decisions. There appear to be no any specific regulations that would require a married couple or roommates to share a companion animal, if both individuals qualify independently. To qualify for a companion animal, a tenant must suffer from a disability, and must possess a prescription from a health care professional for the animal as treatment for the condition. If those requirements are met, a landlord cannot deny the individual the right to keep the animal, and cannot apply any existing policies concerning pets to the situation. One caveat: keeping the animal or animals cannot create a nuisance or break other laws. The second question represents a classic situation where a landlord may feel the need for more due diligence. Here, the tenant suffers from depression — a recognized disability. However, a landlord may struggle to determine whether the doctor’s belief that the animal offers emotional support is the same as a prescription for a companion animal. Landlords must exercise caution in analyzing such a situation. The fact that this tenant appears to have owned the pet before obtaining the doctor’s statement complicates the issue even further. Landlords sometimes fear that a tenant will fake a medical condition in order to avoid a landlord’s pet policies. However, a landlord whose questions concerning the companion animal are intimidating to a tenant with a disability may find they have violated the law regardless of whether the animal is allowed to stay. 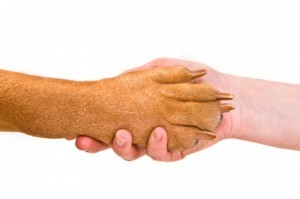 Landlords do have rights regarding companion animals. The landlord cannot be asked to break the law, for instance, by harboring a breed of animal that is prohibited by law, or allowing an animal that has proven to be violent. Companion animals cannot violate health codes or be a nuisance. If a property inspection reveals the animal is damaging the property, in all likelihood, the tenant would be subject to an eviction just like any other tenant. Despite the prohibition against pet deposits for companion animals, the tenant remains legally liable for any damage that occurs.